playing the piano before he was four years old. By age four, he could already play 40 songs and when he was five his mother began teaching him formal lessons. Listen to Bartok himself playing his Six Romanian Folkdances! Ethnomusicology. He then wrote these folk songs from Hungary, Bulgaria and other countries into his music. He discovered that a lot of the folk songs he listened to were based on the pentatonic scale, much like Eastern music, and wrote songs in that style for the piano, orchestra, opera and more. One of his closest colleagues was Zoltan Kodaly who was also keenly interested in folk music. Together they created a body of music that is often used in childhood music education today. 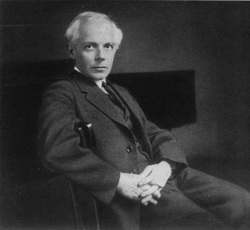 Bartok also wrote educational music. Mikrokosmos is a set of six books containing over one hundred teaching songs in progressive order from beginner to advanced. The pieces in Mikrokosmos were originally written for Bartok's son, Peter's piano training. For Children is a set of two books containing beautiful, unique sounding songs playable by young pianists. Like many other famous pianists, Bartok believed in the importance of singing as a means to becoming an artistic pianist. When he began teaching his son, the first several lessons consisted only of singing so that he could learn proper phrasing and musical line. Accounts from other students of Bartok mention Bartok's amazing skill of phrasing and creating a musical line. He knew how music was intended to sound and was good at playing it that way. Bartok left a lasting legacy through his research and promotion of folk music from various countries and also through his educational books and music that many children encounter in their formative years of piano study. Johann Sebastian Bach is the most important composer of his time period. In fact, he is so important that we used to use his birth and death dates to define an entire era of musical style, the Baroque Period! He was an incredible organist and clavichord player and an influential keyboard teacher. He was so good that, in his time, a synonym for the word "musician" was "Bach." Among his students were his own children, some of whom went on to become even more influential in the world of keyboard education (notably, Carl Philip Emanuel Bach who helped usher in the next era in musical style and, through his writings, is considered an authority of keyboard pedagogy in his day and beyond). J.S. Bach's educational compositions are still a part of standard music education today and his many other compositions are performed regularly by musicians around the world and over our radio waves every day! 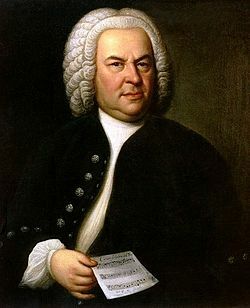 Some of his many famous compositions include educational keyboard collections such as The Well Tempered Clavier (the clavichord was an earlier, different keyboard instrument that came before our modern piano-forte), the German Organ Mass, the Brandenburg Concertos (for orchestra) and the St. Matthew Passion (a grand vocal/choral work). Although his music fell out of fashion right after he died, it regained popularity with later composers such as Beethoven (who hailed him as "the original father of harmony"), Mozart, Robert Schumann, Chopin and Mendelssohn. These composers started using similar compositional techniques after being exposed to J.S. Bach. Play these videos while you are reading about Bach! Franz Liszt was a 19th-century Hungarian composer, pianist, conductor, and teacher. He was the first piano performer to memorize his music for a performance; his contemporaries played from sheet music. He became such a virtuoso and was considered so attractive that he started a sort of "craze"--causing women to faint and fight over his personal items such as handkerchiefs or scarves wherever he performed. Sometimes he gave 3 or more performances in a single week! Franz Liszt also composed piano music; some of it is considered very progressive for its time. 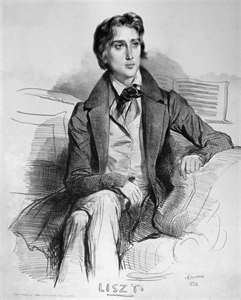 Franz Liszt was a very expressive and showy pianist with amazing virtuosic skills and a great ability to enchant his audience. When did this term first come into use? Edward MacDowell was an American composer in the romantic time period. His most popular piece is To A Wild Rose from his Woodland Sketches. -- When was the romantic time period? -- Can you name another composer who was also from this period?